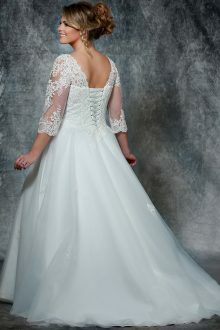 A full range of gorgeous dresses, in your size, ready to try on and fall in love with. 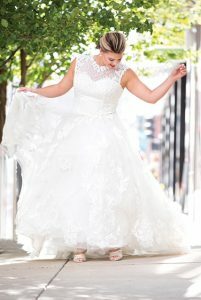 After hearing the many disaster stories my plus size friends have experienced when trying to buy a plus size bridal gown, I decided that I would stock a range of dresses, going up to size 28, with the aim to make every bride have a wonderful happy experience of shopping for the most important dress she will ever wear! 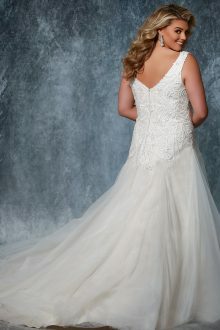 Many bridal shops only hold samples of dresses (mainly in size 10s) where you have to order your size without trying it on, or worse still you have to try on something smaller just to get an idea of what it’s going to look like. Here at Barn Bridal Boutique, we sell off the peg dresses in plus sizes, so that you have a full range of gorgeous dresses, in your size, ready to try on, fall in love with, and be able to take home the very same day. 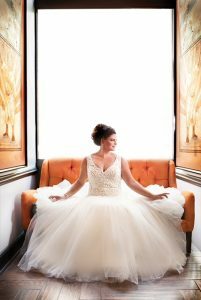 Our dresses have been carefully selected because of their flattering fit and feel but we also have several very experienced seamstresses on hand that can make any alterations to get your dress looking exactly as you’ve always dreamed it would. The Barn Bridal Boutique is set in a beautiful rural location with appointments by prior arrangement only, so for a bride who is feeling in anyway self-conscious you can feel totally at ease that nobody else will be looking in. 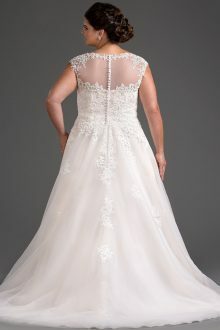 I can also appreciate that not all brides feel happy about stripping down to just a bra and knickers in front of people, so I have devised a unique way to maintain your privacy during your appointment. I hope I’ve covered everything here, but always welcome any suggestions to make your appointment just perfect. 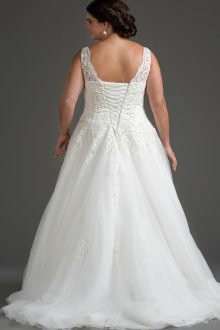 I want you to have a wonderful memory of the day you said yes to the dress! 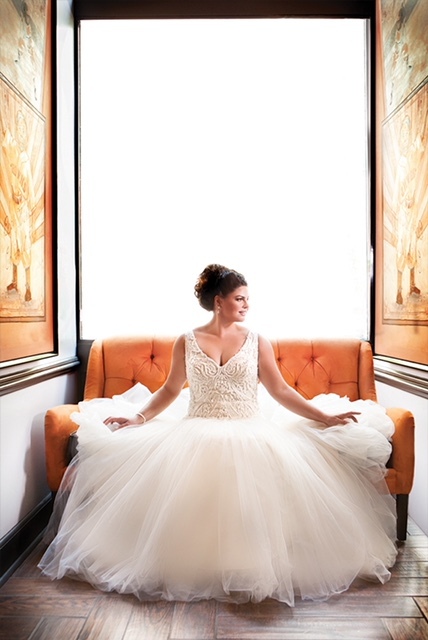 We believe that choosing and buying your dress is one of the most important parts of planning your wedding, and we want you to remember the day you said ‘yes to the dress’! Visit us at our wonderful boutique in a lovely rural location where we’ll help you to create a truly memorable day.